Basements can be either spaces in our homes that are rarely utilized, or they can be rooms that can create valuable additional living spaces within our homes. The licensed and insured experts at B² Design Build specialize in basement remodels and renovations and service customers in the Minneapolis – St. Paul area. Our home remodeling professionals can transform your basement into a highly functional and well-designed area to meet the needs of your family and budget. When it comes to renovating your basement space, the possibilities are nearly endless. 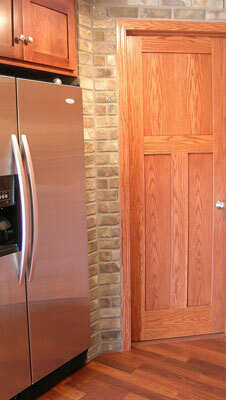 Many clients have hired us to create beautiful family rooms that optimize the openness of their basement. We have also remodeled basements for office space, playrooms that offer plenty of space for children to have fun, laundry rooms and guest areas. Our dedicated and talented staff members are detail-oriented and leave no stone unturned when it comes to attending to even the tiniest details of our clients projects. B² Design Build’s basement renovation and remodeling services are sure to make you rethink how you look at your basement space. We are confident that our superior customer service and outstanding craftsmanship will exceed your every expectation when it comes to creating a space that will forever alter the way that you view the basement of your home. Contact us at 651-333-9394 or via email at info@b2designbuild.com to speak with our experienced renovation associates about remodeling your basement today.